← September 7 Saturday Science Stumper! September 20: South Brother Island Cleanup! Come clean one of New York City’s most beautiful, forbidden realms. South Brother Island is a Harbor Heron refuge and therefore normally off-limits to landing. It’s a vital migratory stop for Monarch butterflies and home to egrets, cormorants, night herons, and many perching birds. The island is anchored by a wonderful eruption of 400-million year old bedrock with flows and folds that look like lava that cooled just yesterday. This service event also includes a thrilling kayak tour back to Hunters Point through Hell Gate and along the midtown skyline. Sadly, the South Brother Island is also subjected to a wind-driven and tide-carried plague of plastics. 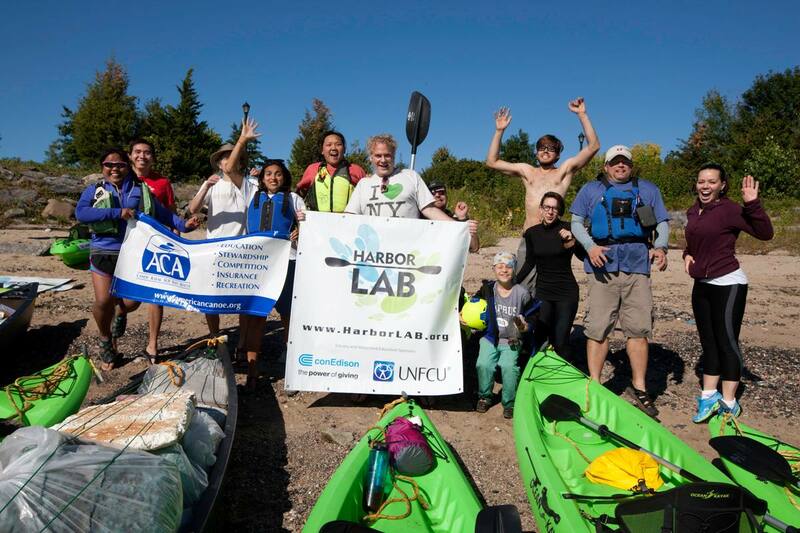 HarborLAB volunteers are proud to clean the island each year as part of the New York State Beach Cleanup of the American Littoral Society and under the direction of the Natural Resources Group of the NYC Department of Parks and Recreation. If you can’t paddle to the island with us, you can take action to reduce plastic waste by eschewing one-use plastic water bottles and joining Citizens Committee for NYC in taking the BYOBag Challenge!